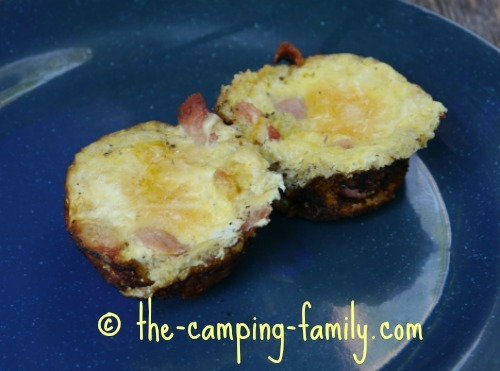 These easy camping breakfast recipes will get your day off to a great start! 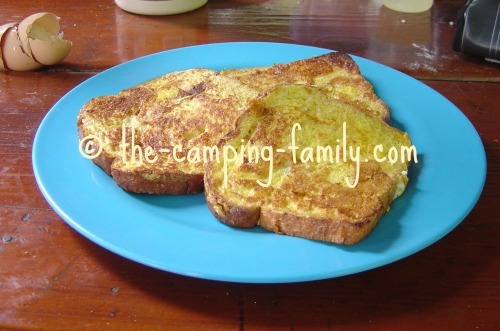 For breakfast at camp, I want something easy, tasty and filling. There’s something about sleeping in a tent that makes me hungry! At home I eat a small breakfast of cereal or granola - but when I’m camping I want more, and so does my family. 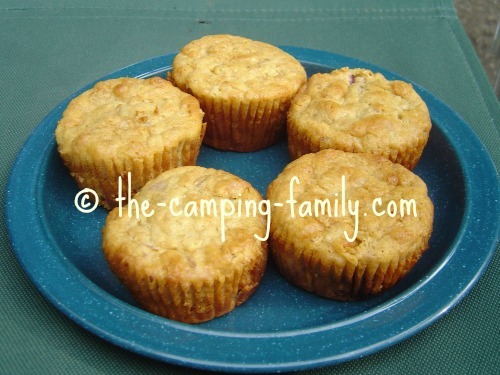 The best camping breakfast recipes are easy to make, and hearty enough to fuel a morning of outdoor fun. Do you need a complete camping menu? Click here! 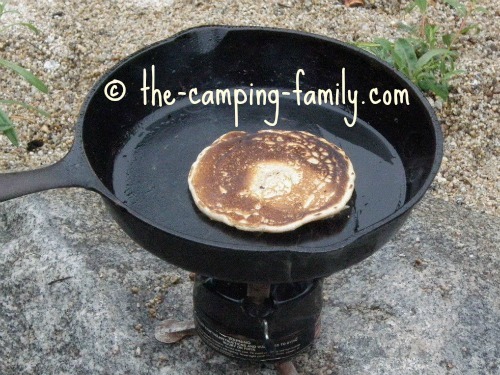 Pancakes are a camping standby. Somehow they taste even better at camp than they do at home! We love to eat pancakes with real maple syrup. Here's how to pack it so that it doesn't leak all over the food box! Here is my recipe for homemade pancakes from scratch. Of course, you can also use a pancake mix. You could even make your own mix! Here are the easy instructions for making a shake and pour pancake mix. If you get tired of pancakes (is that possible? ), make French toast. Here's how to make French toast. A Toad in the Hole is just a fried egg dressed up! Kids love these - at home or at camp. Butter a slice of bread on both sides. Using a drinking glass, cut the center out of the slice of bread. Place the bread in the skillet. Crack an egg into a small bowl. 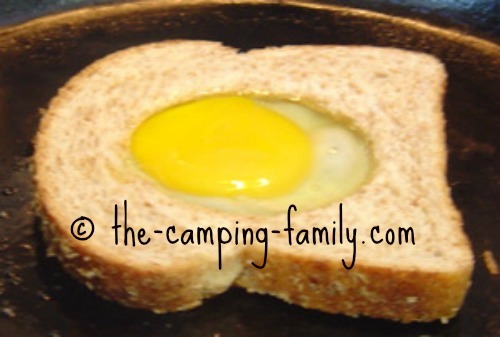 Carefully pour the egg into the hole in the bread. Cook until the egg is mostly set. Using a spatula, turn the bread over. Cook for another minute or two. 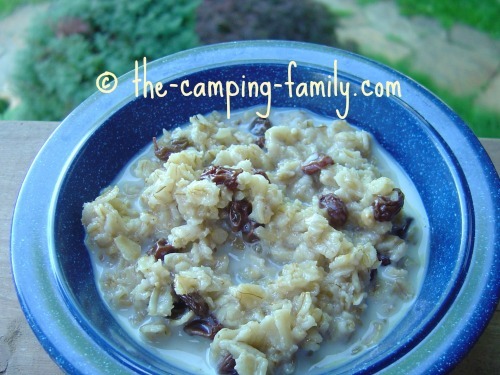 On cool mornings when I really don't want to get out of my sleeping bag, I look forward to a bowl of hot oatmeal. Here's how to make oatmeal from scratch. A bowl of cereal usually isn't enough to satisfy me when I'm camping - but a bowl of cereal with a muffin or two? (Or three!) That's a good breakfast! Here are two extremely easy healthy muffin recipes. You can mix these up in just a few minutes, the night before you leave on your trip. They can bake while you pack. The next morning, you'll be delighted to have homemade muffins for breakfast! When in doubt, have eggs for breakfast! For complete instructions on making fried eggs, scrambled eggs, boiled eggs and more, visit this page. 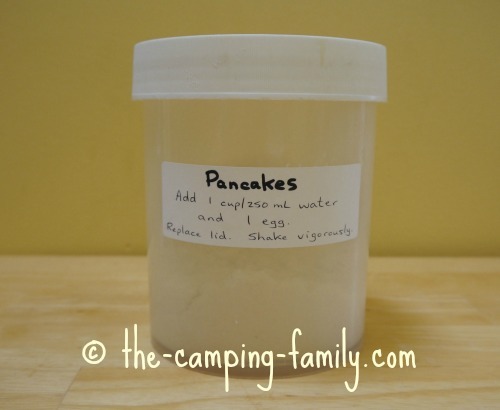 I found this in an article about camping breakfast ideas. As soon as I saw it, I knew that I had to give it a try! The first step is to make a campfire and let it burn down to coals. While it's burning down, get out your muffin tins. Cut some strips of bacon in half and place two short pieces in each tin, forming an "X". Place the muffin tin in the coals until the bacon is almost cooked. Pour off most of the fat. Place the tin back in the fire. Use a knife to loosen the the bacon-eggers and remove them from the tin. These were fun to make, but I have to say that they weren't really worth the trouble. Making bacon and eggs in a skillet is much simpler, and the results are usually better. If you do want to give this a try, don't use your good muffin tins! Pick up a used set at a thrift store, and save it for campfire cooking. I didn't always, though; I used to find it intimidating. Over the years, I've developed a foolproof system that makes it fun to plan the food for a camping trip. You can read about my system here. 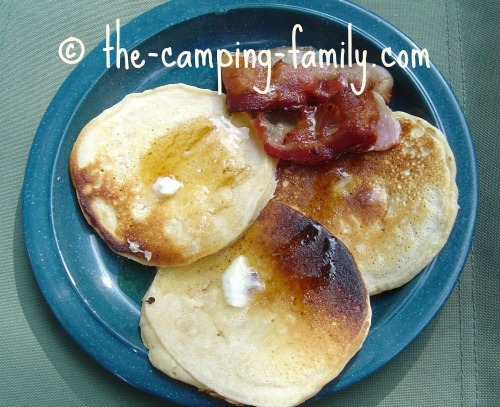 Do you have any good camping breakfast recipes? I'd love to hear them! 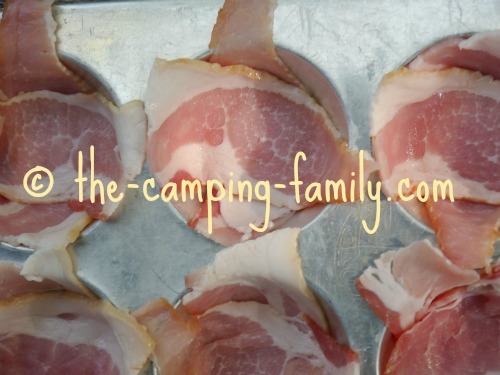 Please contact me and tell me what you eat for breakfast when you go camping! 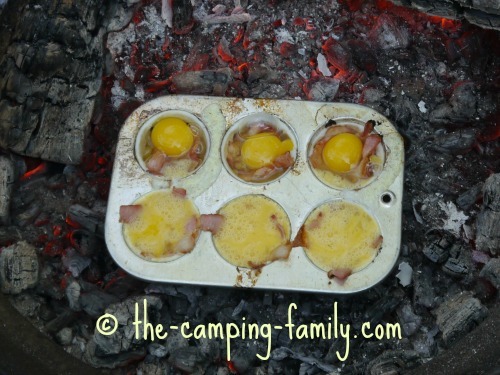 Now that you have a good collection of camping breakfast ideas, pop over to this page and find some new camping food ideas for lunch and supper! You'll find all sorts of helpful camping information when you visit The Camping Family home page.